Creative and fun, but it runs out of steam a bit. A fun concept and executed in an interesting fashion, but ultimately a little bit of fun and not much else. Leaves you wanting more, but feels like there isn't really enough there to justify it's length as it is. I wouldn't expect to rate a film that's directly an edit of other films high. 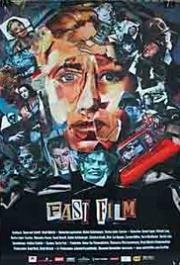 Fast film while editing numerous movies to it's will, also presents a good understanding of the machinery of cinematic medium.